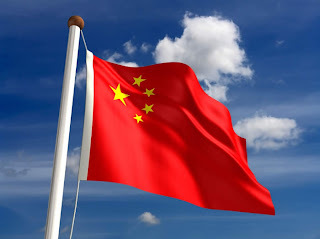 ARREST OF CHINESE DIPLOMAT UNDER INVESTIGATION! Posted in Uncategorized | Comments Off on ARREST OF CHINESE DIPLOMAT UNDER INVESTIGATION! STATEMENT FROM MAYOR ANNISE PARKER! “Three Houston Police Officers have been placed on desk duty pending the outcome of an investigation into the arrest and injury of Chinese diplomat Ben Ren Yu last Saturday. The incident occurred in the parking garage of the Chinese Consulate in Montrose. HPD and the U.S. State Department are coordinating the investigation into the circumstances surrounding the arrest. The officers involved have stated that they were unaware the building Yu entered was the Chinese Consulate. THE INSITE MAKES A CAMEO APPEARANCE IN A FOX 26 COMMERCIAL! Posted in Uncategorized | Comments Off on THE INSITE MAKES A CAMEO APPEARANCE IN A FOX 26 COMMERCIAL! UPDATE: MICHAEL JACKSON’S THIS IS IT NEARLY $300 MILLION! Posted in Uncategorized | Comments Off on UPDATE: MICHAEL JACKSON’S THIS IS IT NEARLY $300 MILLION! THE 15 YEAR OLD WHO ALLEGEDLY WAS BEATEN BY 8 HOUSTON POLICE OFFICERS IDENTIFIED! Posted in Uncategorized | Comments Off on THE 15 YEAR OLD WHO ALLEGEDLY WAS BEATEN BY 8 HOUSTON POLICE OFFICERS IDENTIFIED! A BEAT DOWN AT THE HOUSTON FIRE DEPARTMENT LEADS TO AN INTERNAL INVESTIGATION! 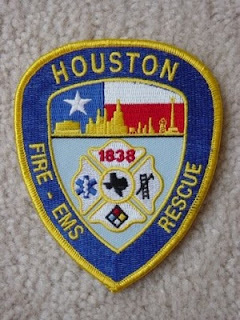 Posted in Uncategorized | Comments Off on A BEAT DOWN AT THE HOUSTON FIRE DEPARTMENT LEADS TO AN INTERNAL INVESTIGATION! WHAT HAPPENED AT STATION 60! The Insite and Fox 26 news have learned there is yet another internal investigation underway at the Houston Fire Department. This comes after allegations of firefighter on firefighter brutality. Our sources say it was earlier this month when a captain and firefighter were roughhousing while on duty at station 60. One thing lead to another and the captain allegedly assaulted the firefighter so bad that he had to be taken to the hospital with bleeding wounds. Surprisingly, both men we’re not naming, remain on the job while the probe is underway. However, Patrick Trahan with HFD says the men are now on different shifts. Trahan also confirms the internal probe. Meanwhile, Jeff Caynon with the Professional Fire Fighters Union says he’s not commenting at this point. SUPPORT YOUR HOUSTON FIRE FIGHTER! Posted in Uncategorized | Comments Off on SUPPORT YOUR HOUSTON FIRE FIGHTER! HE’S FIGHTING FOR HIS LIFE AND NEEDS YOUR HELP! City of Houston Firefighter Randy Surratt (19/B) is in the battle of his life. Randy was diagnosed with Hodgkin’s Lymphoma approximately 20 months ago. There is a Benefit for him at the Firehouse Saloon on Sunday, May 2, 2010 (D/B4). There will be BBQ plates for $7, a DJ from 2p to 4p, then live music at 4p. There will also be a prize raffle. Firehouse Saloon is located at 5930 Southwest Freeway, Houston, Tx 77057. PILOT DIES IN PLANE CRASH IN FRIENDSWOOD! Posted in Uncategorized | Comments Off on PILOT DIES IN PLANE CRASH IN FRIENDSWOOD! HOW DID HOUSTON DO FOR THE 2010 CENSUS? 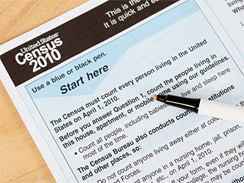 Posted in Uncategorized | Comments Off on HOW DID HOUSTON DO FOR THE 2010 CENSUS? Mayor Annise Parker today announced that Houston’s mail-in participation rate for the 2010 Census is 67 percent. This exceeds the city’s 2000 Census response rate of 64 percent. In his visit to Houston last week, US Census Bureau Director Robert Groves was quoted as saying “there are heroes walking among you,” to a group of staff and volunteers gathered. He reinforced the respect the bureau has for the work Houstonians have done to ensure a complete count. A high mail-in participation rate is important because it saves taxpayer money. It costs 42 cents per household to mail back a Census questionnaire, but an average $57 per household when Census workers must go door-to-door to collect the information in person from those that haven’t responded by mail. These workers, hired from the neighborhood in which they will work are easily identifiable. They carry Census identification cards and bags, have Census questionnaires and confidentiality notices. You may ask them to show another form of identification. More information about this effort can be found at www.HoustonCounts.com. 8 HOUSTON POLICE OFFICERS SUSPENDED AFTER BEATING ALLEGATIONS! 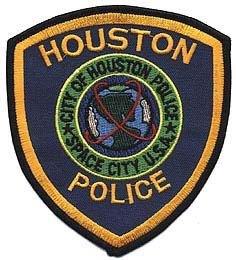 Posted in Uncategorized | Comments Off on 8 HOUSTON POLICE OFFICERS SUSPENDED AFTER BEATING ALLEGATIONS! SOURCE ABOUT THE VIDEO: IT AIN’T PRETTY! FOX 26 news and the Insite have learned at least 8 Houston Police officers have been suspended after allegedly being caught on tape beating a suspect. Those officers – all members of the West Side Tactical Unit – are accused of brutally beating a man described as a theft or burglary suspect. The officers were allegedly captured on video tape by a surveillance camera at a nearby business. The owner of that business we’re told saw the video and turned it over to HPD. Sources say the officers were all relieved of duty on Monday until there is a thorough investigation. One person in the department says about the video tape, “it ain’t pretty.” The Insite will bring you more information as it becomes available! 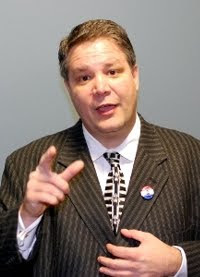 CONGRESSIONAL CANDIDATE COMPARES ILLEGAL IMMIGRANTS TO TRACKING DOGS! Posted in Uncategorized | Comments Off on CONGRESSIONAL CANDIDATE COMPARES ILLEGAL IMMIGRANTS TO TRACKING DOGS! DID THIS REPUBLICAN CANDIDATE FOR CONGRESS GO TOO FAR? A Republican congressional candidate said Tuesday that comments he made suggesting illegal immigrants be microchipped so they could be more easily tracked were taken out of context. Pat Bertroche, a Republican candidate in Iowa’s 3rd Congressional District, was speaking Monday during a forum in Toledo when he made the comment. The Cedar Rapids Gazette reported Bertroche said, “I actually support micro-chipping them. I can microchip my dog so I can find it. Why can’t I microchip an illegal? Bertroche did not deny making the comments when asked about them Tuesday by The Associated Press. But he said he never meant to suggest he advocates illegal immigrants be microchipped like dogs, which can have chips placed beneath their skin. Bertroche said he would instead support issuing of “blue cards” to illegal immigrants that would contain the same microchip technology found in U.S. passports. These cards would allow bearers to remain in the country but would prevent them from being granted citizenship or receiving government services. According to his campaign website, the cards could be easily scanned and would document a person’s date of birth, nationality and fingerprints. Bertroche said issuing such cards would be cheaper than building a border fence. “Why not create something that is more cost effective?” he said. THE US POSTAL SERVICE TAKING ON NEGLIGENT DOG OWNERS IN HOUSTON! Posted in Uncategorized | Comments Off on THE US POSTAL SERVICE TAKING ON NEGLIGENT DOG OWNERS IN HOUSTON! THE CITY OF HOUSTON GETS $1.3 MILLION DOLLAR GRANT! Posted in Uncategorized | Comments Off on THE CITY OF HOUSTON GETS $1.3 MILLION DOLLAR GRANT! WE’RE GETTING NEW SOLAR POWERED MOBILE GENERATORS! The City of Houston has received a $1.3 million State Energy Conservations Office (SECO) Distributed Renewable Energy Grant. The city plans to use the grant funding to purchase approximately 25 commercially available distributed renewable energy (solar) mobile generator systems to provide backup energy during an emergency. The generators will demonstrate the financial and environmental benefits of using solar power as an energy source. With power generated by these systems, wheelchair batteries can be recharged, oxygen concentration pumps can be charged and medicine can be refrigerated. The generators could also be used to power emergency communications systems, gas pumps for emergency vehicles, small scale water treatment, and other critical services traditionally powered by a diesel or gasoline generator. 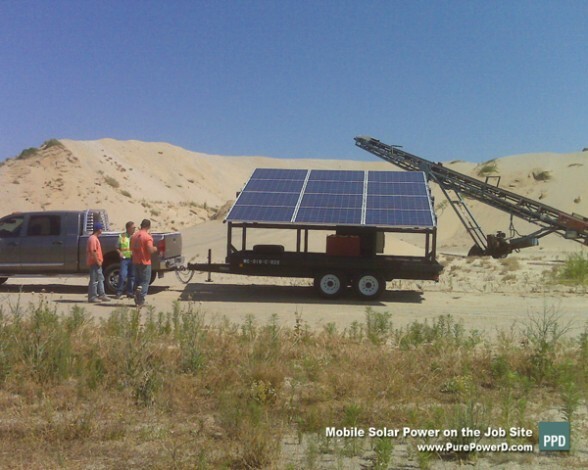 The mobile solar generators will be placed in emergency staging areas to power critical city facilities and provide assistance to the public in the event of an emergency. A study will be conducted to determine the best locations for the units. When not used to provide emergency energy services, the generators will be used as supplemental energy sources at city fire stations. The Solar Houston Initiative, part of the City’s Solar America Cities Project, leverages the expertise of diverse and experienced project partners, such as the Solar Houston Taskforce, to achieve a sustainable solar infrastructure in the city. The Solar Houston Initiative is focused on identifying and overcoming barriers associated with establishing a solar infrastructure that is incorporated into the overall energy system of the City of Houston.